Once upon a time, in a land far, far away, there was … How many times did we read those words? When I was a little girl I consumed all of my books of fables: Perrault, La Fontain, the Grimm brothers … And can you remember how lovely were the illustrations inside? 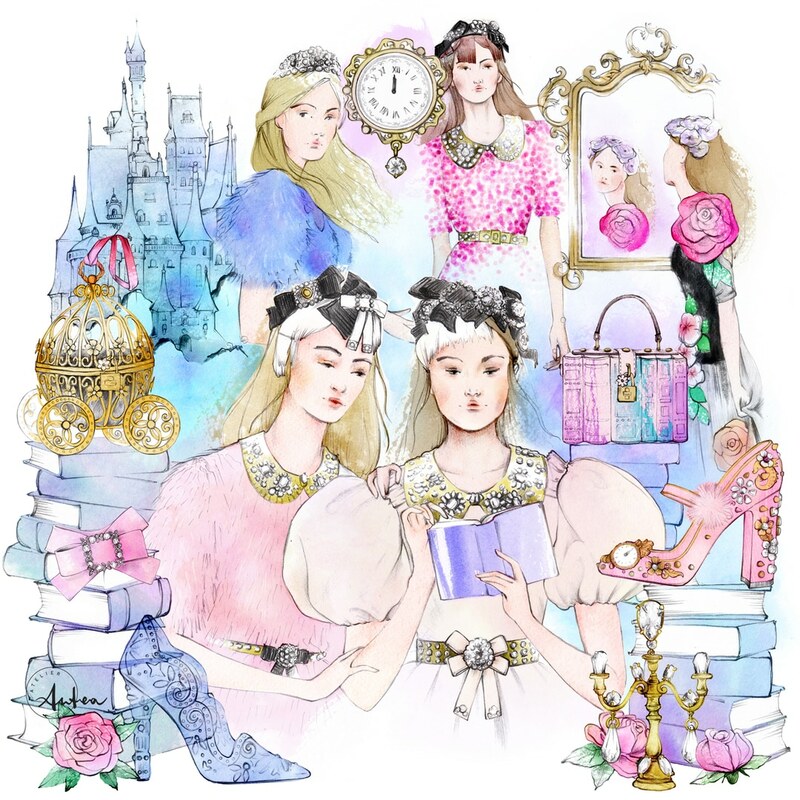 Actually, I think that the fashion illustration has something to share with fairy tales and fables. It’s clear to my eyes when I scroll lovely illustrators’ galleries on Instagram or Pinterest, or browsing illustration catalogues and fashion magazines. Drawings catch my eyes in a way that photography doesn’t do. Tales and fashion drawings share the power of sharpen your eyes and the rest of your senses to the world at large, as David Hokney said about fashion illustration in his introduction of “Fashion Drawing in Vogue”. I think that both of them whet your imagination offering you a different point of view on the surrounding world. Because illustration is a matter of seeing but also of interpretation. But I don’t want to get you bored with a frontal lesson… well, not on Friday! So, I stop tapping my fingers on the keyboard to show you my #DrawADotDolceGabbana illustration for the Draw A Dot fashion illustration contest on Instagram. It consists on my interpretation of the fairytales theme, also the inspiration for the Dolce & Gabbana’s Fall 2016 collection. So, please, wish me good luck! On my side, I wish you a fairy week-and!